TortoiseSVN is an open-source client for easy version / revision control, based on Subversion (SVN). 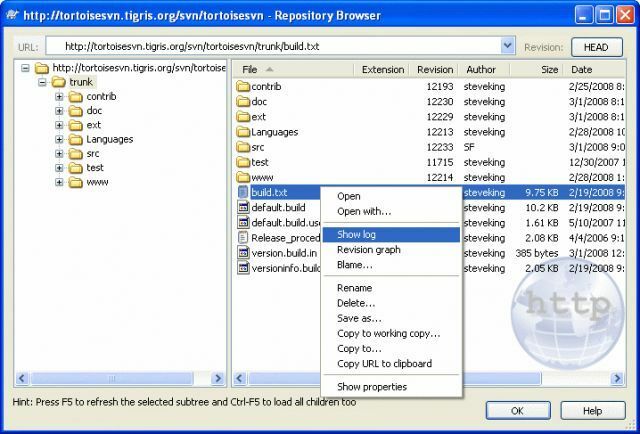 TortoiseSVN is installed as a shell extension, bringing its functions and menus to Windows Explorer's menus. Another advantage of such integration is that everyone can use it, not only developers. TortoiseSVN is especially useful for small and large distributed projects. It is used to share a version of a project to all participants and keep it up to date so that everyone has the same version of the files. TortoiseSVN is well supported and updated, and it is documented on several languages.